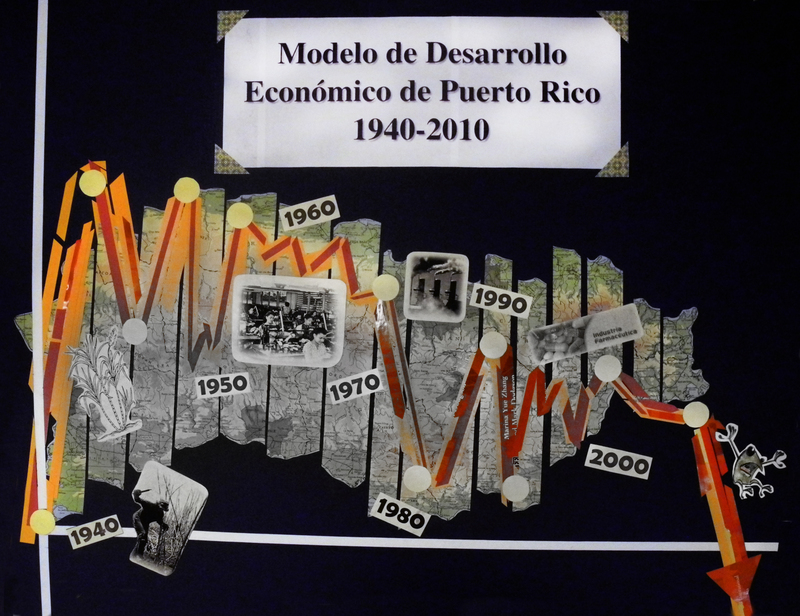 Se ha filtrado un reporte via medios sociales sobre la situación financiera y económica de Puerto Rico , dicho informe fue creado por ex-economistas del Fondo Monetario Internacional, Anne Krueger, Ranjit Teja, y Andrew Wolfe. Según el Periódico Digital Puertorriqueño La Nación, El informe de los ex-economistas del FMI y el Banco Mundial contiene controvertidas medidas y recomendaciones como recortar casi el 70% de los fondos que recibe la UPR por parte del Gobierno, así como despidos masivos en el Departamento de Educación. También incluye en una de sus recomendaciones la disminución del salario mínimo a ⅓ de su nivel actual (de 7,25$ a 2,39$), así como disminución y eliminación de una serie de derechos laborales, como la extensión del periodo probatorio de tres meses a hasta dos años o la reducción de evidencia necesaria para demostrar justa causa para despidos. El video forma parte del curso “Introducción a la Educación Abierta” realizado por el Proyecto LATIn, adaptando el diseñado por David Wiley. 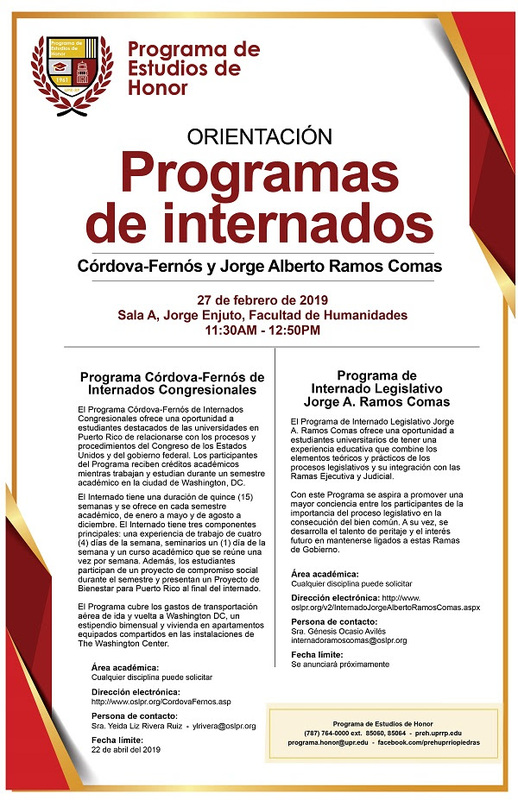 El objetivo del curso es describir de forma general las bases y aspectos fundamentales de las áreas de conocimiento asociadas a la Educación Abierta, basado en la la filosofía y principios marco que han inspirado al Proyecto LATIn. 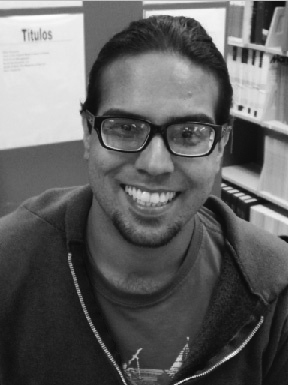 Este es parte de una serie de cursos cuyo objetivo es orientar a los docentes a lo largo del proceso de elaboración de los primeros libros de texto abiertos de la iniciativa. 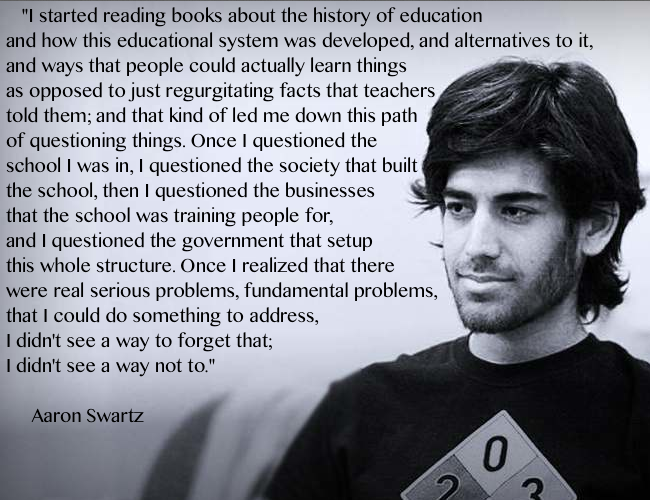 The tragic suicide earlier this month (back in 2013) of programmer and activist Aaron Swartz has initiated a series of public conversations, both about the life and work of this extraordinary young man and about the meaning of his death. The latter discussions have been dominated by concerns about perceived prosecutorial overreach and the relatively greater attention that our federal government seems to give to apparently minor violations of intellectual property law compared to, say, financial crimes and torture. Much attention has rightly been placed on the behavior of Carmen Ortiz, the U.S. Attorney for the District of Massachusetts, who was in charge of prosecuting Swartz for mass downloading journal articles from JSTOR via MIT’s computer network with the intent to distribute them free of charge. Less attention has been given to the behavior of JSTOR and MIT in relation to Swartz, though it is often noted in passing that JSTOR opposed prosecution, while MIT supported it. But as important as the details of the Swartz case are, the broader context in which it took place needs to be given more consideration. How do we find ourselves with the extraordinary, dysfunctional intellectual property (IP) regime that has ballooned in the last four decades? And, of more direct interest to this blog, how should scholars in the humanities and the institutions in which we work, deal with this situation? The first question, at least, has received a fair bit of attention over the years, thanks largely to legal scholars like Lawrence Lessig and James Boyle. * The second question, however, is of more local import. But to those of us who work in history and the other humanities and (at least soft) social sciences, it is a vital question. The intellectual property rules-of-the-road have been vastly changed over the last several decades, largely at the behest of the entertainment industry, whose corporations own valuable pieces of intellectual property that would have slipped into the public domain due to their copyrights’ expiring. In addition to greatly lengthening the term of copyright, new laws, supposedly occasioned by the rise of digital technologies, have also restricted the realm of fair use. Not surprisingly, a set of rules designed to protect the pecuniary interests of a very unusual set of IP owners doesn’t work so well at dealing with the vast majority of older works, which are substantially less valuable and less in danger of becoming the object of profit-robbing piracy than of becoming unavailable as a result of staying under copyright. Of particular concern in this regard are “orphan works,” books, music, movies and other copyrighted items whose rights holders are unreachable for various reasons. When a work’s copyright owner is difficult to locate or establish, reproducing that work becomes effectively impossible. These copyright laws are of particular concern for those of us who study the history of the last hundred years or so. Universities’ behavior in this brave new world of IP has, perhaps unsurprisingly, been largely dictated by those fields whose IP is of greatest monetary value, especially the so-called STEM disciplines. As even public institutions become ever more dependent on private funds, the ability of institutions to maintain financial interests in intellectual property produced on their campuses and by their employees is understandably of great interest. Such concerns often put universities on the side of greater restriction in the area of IP law. Even those of us who are academics in non-STEM fields have experienced some of the side effects of these institutional IP concerns. Moreover, as communities of technologically savvy young people with access to some of the world’s most powerful computer networks, universities were an early target of the entertainment industry’s war on digital piracy. 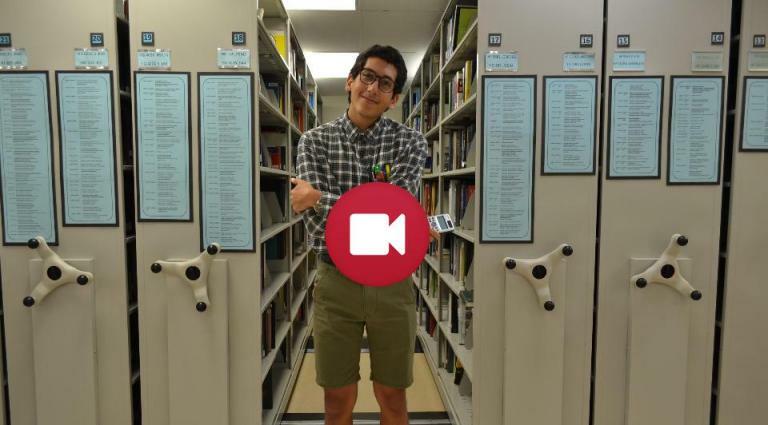 Largely in response to such outside pressure, universities have cracked down on illegal file-sharing among students and faculty. And digital file-sharing is only the tip of this iceberg. When I arrived at OU, the film studies program would invite the general public to attend, free of charge, the screenings for its larger courses. About a decade ago, we got a cease-and-desist letter from a film studio. Of course, in the humanities, the intellectual property we generate is rarely of any great monetary value. Academic humanists certainly have intellectual property worries, but they tend to concern credit and plagiarism, rather than piracy. Personally, I’m happy to have my book as widely read as possible. If some professor sticks more than one chapter of it in a photocopied reader without paying rights fees, that’s of little concern to me (though, I suppose, a university press would say that if that behavior is multiplied enough times, the press’s ability to stay afloat would be imperiled). 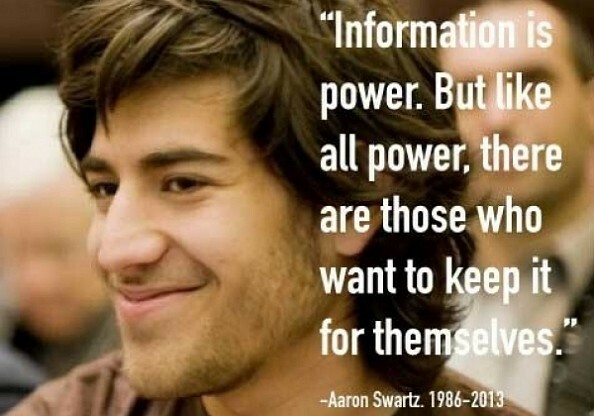 Swartz’s suicide prompted a mass twitter protest, in which researcher uploaded thousands of journal article .pdfs, as well as the release of a bookmarklet called JSTOR Liberator that allows access to those public domain articles on JSTOR without having to sign off on JSTOR’s onerous terms of service. Unlike JSTOR, MIT actively aided in the federal prosecution of Swartz. 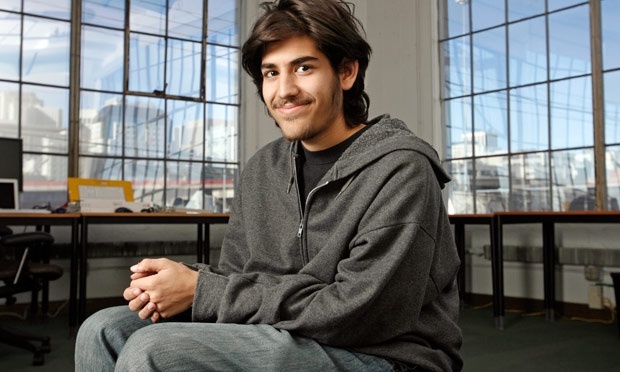 ** For MIT, Swartz’s suicide has become an occasion to revisit that decision. MIT President L. Rafael Reif has tasked Prof. Hal Abelson, who helped found Creative Commons and the Free Software Foundation, to lead an investigation into MIT’s actions in the Swartz case. I will be very interested to see what comes out of this investigation. The nation — and, indeed, the world — is in serious need of rebalancing its intellectual property laws. Even if we fall short of the utopian visions of activists like Swartz, who worked for a world of free information, copyright law must be made to once again serve the truly social interests for which it was created, rather than the special interests who’ve been rewriting that law for a generation or two. But, in the meantime, academic institutions need to rebalance their own attitudes toward intellectual property, so that they are driven less exclusively by the bottom line and more broadly by the needs of the faculty and students for open access to ideas and texts. * Lessig’s now classic book Free Culture is available (for free) here. And you can hear Boyle in a segment from the latest edition of NPR’s On the Media lamenting the virtual shuttering of the public domain. ** It’s worth noting, in passing, that Massachusetts state authorities had planned to decline to prosecute Swartz before federal authorities took over the case. Michel Foucault nos explica ¿Qué es un autor? desde su singular perspectiva histórico-filosófica que dio lugar en la célebre conferencia de 1969. A week before Doral Bank was closed by federal regulators, it made a $20 million loan to a company managed by Israeli investor Moishe Mana for 17 different properties around Miami’s Wynwood neighborhood, according to Miami-Dade records. The 17 assorted properties owned by Melanie Holdings LLC add up to approximately 4.9 acres of real estate. The largest is at 550 N.W. 24th St., and covers 2.7 acres across the street from the Wynwood Brewery. Doral Bank was closed by the Federal Deposit Insurance Corp. (FDIC) on Feb. 27. 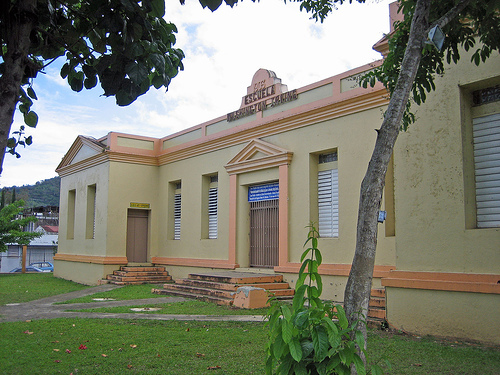 The bank had operations in Puerto Rico, Florida, and New York. The FDIC entered into an agreement with Banco Popular de Puerto Rico to sell some of the bank’s assets, and is currently in two other agreements to sell the majority of the remaining assets. Puerto Rico-based Doral Financial Corp. (NYSE: DRL), owned Doral Bank. But who now owns the $20 million loan is unclear since assets were split between the regulator and Banco Popular, which sold some branches to FirstBank Puerto Rico and Centennial Bank. Mana signed the mortgage agreement on Feb. 19 as the manager of Melanie Holdings. Mana has recently been adding downtown Miami and Wynwood area property to his collection. In late February, Jersey Art Holdings, one of Mana’s companies, bought a 26,083-square-foot building at 172 W. Flagler St. and 21 S.W. 2nd Ave. for $5.1 million. Mana Wynwood is Mana’s Arts District venture. The group focuses on art, entertainment, and culture and aims to aid in the transformation of Wynwood into an international cultural hub, according to Mana Wynwood’s website. This mortgage follows a 2011 loan made to Melanie Holdings by Coral Gables-based Banesco USA for $6.37 million, according to Miami-Dade records. The Doral Bank loan was a refinancing and increase of that loan. The question is why a bank only a week from failing would be interested in making such a large loan. 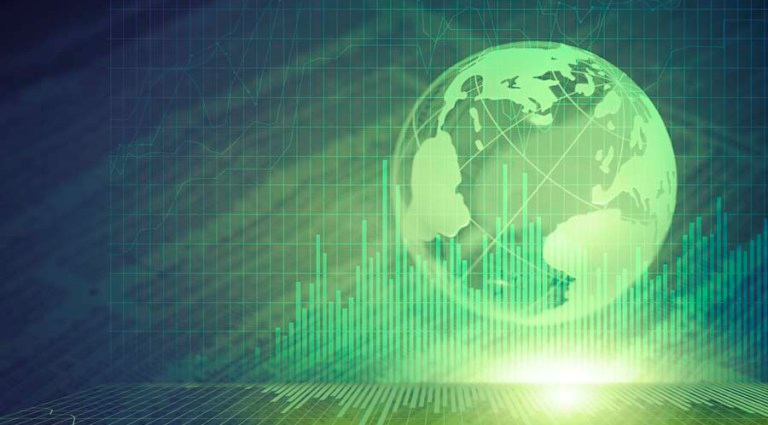 “In general, some borrowers will stay clear of problem banks because of the associated risks – they don’t want the loan to be jeopardized or someone else to take control and change the terms,” Miami-based bank analyst and economist Kenneth H. Thomas said. New research suggests the more you try to dictate how and when employees work, the less they will accomplish. Ever wonder what really makes employees work harder? Let’s start with what doesn’t. Contrary to the instinct of micromanagers everywhere, watching over your employees’ shoulders and dictating where and when they should work is perhaps the worst tactic for productivity. New research from University of Pennsylvania professor Alexandra Michel finds highly educated employees work more when given autonomy over their schedules. In fact, they’ll often work to the point of exhaustion. Michel saw this herself, when she began her career at Goldman Sachs years ago. There, the average investment banker burned out after nine years and typically quit by age 35. To understand this, Michel spent 12 years studying young executives at two large investment banks. When employees were pressured to work more, they were less inspired, she found. But when allowed to set their own pace, taking fewer vacations and working on weekends, they could accept it because it was their choice, Michel explained in the summer issue of The Sociological Quarterly, where her study was published. Of course, employee-dictated schedules aren’t without their flaws. Michel noted many autonomous bankers worked excessively hard, suffering “debilitating physical and psychological breakdowns” as well as back pain, insomnia, addictions, and eating disorders. Others often sacrificed personal needs at the expense of a healthy work-life balance. So while the work schedules were on their own terms, their judgment, creativity, and ethical sensitivity suffered, making life miserable for those around them. What’s your take on how much autonomy employees should have regarding their schedules? Charter school “authorizers” are charged with making sure schools can be trusted with kids and with public money. Problem is, many lack the tools to do the job. Nestled in the woods of central Minnesota, near a large lake, is a nature sanctuary called the Audubon Center of the North Woods. The nonprofit rehabilitates birds. It hosts retreats and conferences. It’s home to a North American porcupine named Spike as well as several birds of prey, frogs, and snakes used to educate the center’s visitors. It’s also Minnesota’s largest regulator of charter schools, overseeing 32 of them. Charter schools are taxpayer-funded, privately run schools freed from many of the rules that apply to traditional public schools. What’s less widely understood is that there are few hard-and-fast rules for how the regulators charged with overseeing charter schools are supposed to do the job. Many are making it up as they go along. Known as “authorizers,” charter regulators have the power to decide which charter schools should be allowed to open and which are performing so badly they ought to close. They’re supposed to vet charter schools, making sure the schools are giving kids a good education and spending public money responsibly. But many of these gatekeepers are woefully inexperienced, under-resourced, confused about their mission or even compromised by conflicts of interest. And while some charter schools are overseen by state education agencies or school districts, others are regulated by entities for which overseeing charters is a side job, such as private colleges and nonprofits like the Audubon wildlife rehabilitation center. Cuatro Jinetes, [Four Horsemen] (2012) es un galardonado documental creado independiente que se atreve a explicar cómo funciona realmente el mundo financiero-político. la presión política de los bancos en el Estado-Nación y en los mercados globales, que considera como una grave amenaza para la civilización occidental. Se critica la guerra contra el terrorismo, que mantiene que no se lucha para eliminar a Al Qaeda y otras organizaciones militantes, sino a una deuda mayor a los bancos. Como alternativa, la película promueve un retorno a una economía con el patrón de oro y que se alejen de políticas neo keynesianas y neo liberales. Entre los entrevistados son Joseph Stiglitz, ex economista jefe del Banco Mundial; Noam Chomsky, profesor de lingüística; John Perkins, autor de Confesiones de un sicario económico; Herman Daly, profesor de economía; y Max Keiser, presentador de televisión y ex operador de finanzas en WallStreet. 23 pensadores a nivel internacional, asesores del gobierno y personas con experiencia en capital de Wall Street rompen su silencio acertando que nunca volveremos al “business as usual“ tan cotizado desde 1975. Asimismo explican que la sociedad debe enfocarse en problemas materiales y cognitivos, -y no moralistas- para establecer una sociedad moral, justa y costo-efectiva. La negociación es una discusión entre dos o más entes en la disposición de arribar a términos concretos de una transacción o acuerdo o intercambio de servicios y/o productos. La negociación se da en empresas, organizaciones sin fines de lucro, las ramas del gobierno, los procedimientos judiciales, instituciones financieras internacionales entre las naciones y en situaciones personales como el matrimonio, el divorcio, la crianza de los hijos y la vida cotidiana. Este diálogo entre dos o más entidades tiene la intención de llegar a un entendimiento y resolver puntos de diferencia, para obtener una ventaja clara o para elaborar resultados que satisfagan diversos intereses. El objetivo es conseguir que la otra parte acepte las condiciones que más se acerquen a nuestra última propuesta. El engaño es probablemente la manipulación de percepciones más antigua y rutinaria sobre el objeto de la negociación. 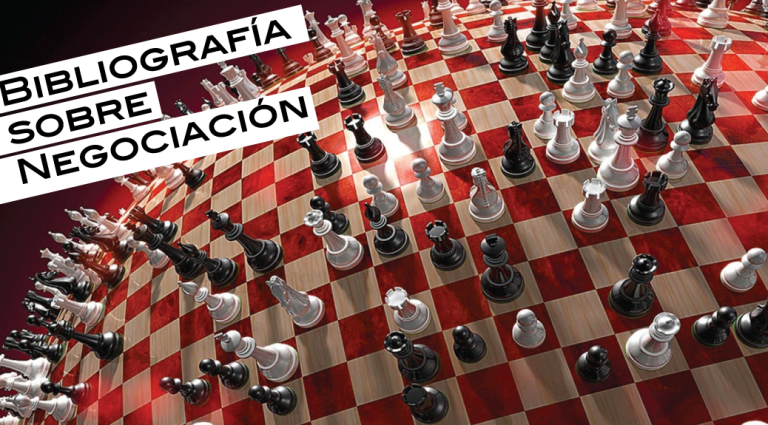 Pero el engaño, en cuanto jugada estratégica planeada y ejecutada como tal, también actúa en dimensiones en la que la verificación de data es difícil o imposible dada la situación. Una de las dinámicas más interesantes, y a menudo más olvidadas, en el proceso de negociación son las relaciónes de poder que existen entre las partes negociadoras y las tacticas y estrategias que usan para mover la negociación a su favor. Por ejemplo las tácticas de negociación maniplativas pero legales formaban parte integral del juego de la negociación y es poco probable que un ejecutivo que no domine esas técnicas acabe acumulando capital o poder. El engaño, la manipulación de hechos y la regulación de la percepción del oponente son constitutivos del grado del contrato o acuerdo que se establezca. La negociación no siempre es simétrica eso quiere decir que no se hace entre iguales, lo más probable se articule de forma asimétrica, donde las tácticas, estrategias y goles, serán diferentes. 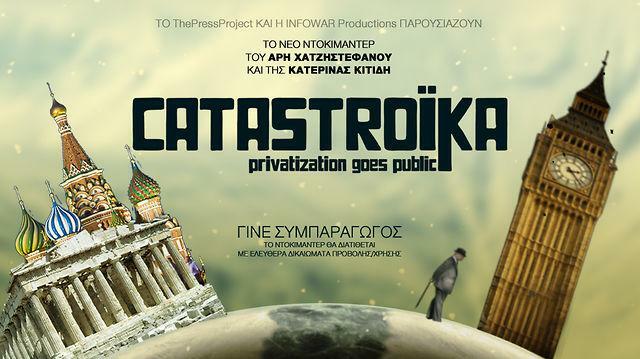 Catastroika (2012) es un documental financiado colectivamente con Licencias Creative Commons. Los periodistas Aris Chatzistefanou y Katerina Kitidi, viajan por muchos países en busca de imágenes, información y material sobre los programas de desregulación y privatización que se han realizado en el llamado mundo desarrollado. El documental descubre los resultados de la actual venta de los recursos públicos de Grecia, los cuales se exigen a fin de afrontar la inmensa deuda soberana del país. Slavoj Zizek, Naomi Klein, Luis Sepulveda, Ken Loach y Greg Palast hablan sobre las medidas de austeridad, el gobierno griego, así como del ataque contra la Democracia en Europa, tras la propagación general de la crisis financiera. Académicos y especialistas como Dani Rodrik, Alex Callinicos, Ben Fine, Costas Douzinas, Dean Baker y Aditya Chakrabortty presentan aspectos desconocidos de los programas de privatización en Grecia y en el extranjero. El desarrollo sostenible apela a una realidad tan prioritaria como clara. Los recursos son limitados y nuestra necesidad por los mismo no lo es, por lo tanto debemos administrarlos costo efectivamente, ya que si los consumidores y el entorno están funcionales en sus respectivos aspectos, todos salimos beneficiados. Las empresas sostenibles son en su núcleo sistemas eficientes y suelen aprovechar las más recientes tecnologías verdes, las mejores metodologías y gozan de un óptimo rendimiento socio económico. Las y los empresarios(as) y emprendedores de las nuevas generaciones no solo tienen los desafíos de sus predecesores, cálculos de costos, guerras comerciales, guerras de divisa, márgenes de ganancias, también deben proveer la sostenibilidad para el mercado, el estado y la sociedad. Para lograr esto, la economía sostenible debe satisfacer las necesidades de la sociedad tales como la alimentación, ropa, vivienda y trabajo. Esto se debe a que si el mundo se encuentra en la pobreza, las catástrofes serán inminentes, incluyendo las ecológicas. Además de tecnologías verdes que mejoren las cadenas de producción y bajen los costos de la extracción, producción y distribución, existen formas de crear sostenibilidad en las finanzas de tu negocio o empresa; las finanzas sostenibles adoptan un enfoque ético que supone un giro radical en el principio de funcionamiento de la industria bancaria. La maximización del beneficio económico es necesaria y asegura la sostenibilidad financiera y duradera en el tiempo, y asegura la supervivencia de la entidad financiera. Para ello se debe planear y tener un modelo de negocios claro, tener definidos procesos de negocios con funciones claras y planes de contingencia. El enfoque de sostenibilidad exige a las empresas trabajar ardua e inteligentemente teniendo éxito económico, cuidado ambiental y atención a los problemas sociales de los mercados en donde se opera. Las empresas, las instituciones y los ciudadanos no podemos estar ajenos a la búsqueda de soluciones a los problemas del planeta si queremos asegurar un largo plazo que ofrezca una vida de calidad a las nuevas generaciones. as everyone knows, both Bill Dudley and Stephen Friedman used to be at Goldman, and as we noted Dudley and Goldman chief economist Jan Hatzius periodically did and still meet to discuss “events” at the Pound and Pense. U.S. District Judge Ronnie Abrams in Manhattan ruled that the failure by the former examiner, Carmen Segarra, to connect her disclosure of Goldman’s alleged violations to her May 2012 firing was “fatal” to her whistleblower lawsuit. Abrams also said Segarra could not file an amended lawsuit. Segarra’s findings that Goldman’s conflict-of-interest practices may have violated merely an “advisory letter” that did not carry the force of law did not entitle her to whistleblower protection under the Federal Deposit Insurance Act, Abrams said. In her ruling on Wednesday, Abrams also rejected a move by Stengle for greater disclosure by the judge about her husband’s relationship with Goldman Sachs. Abrams disclosed on April 3 that she had just learned that her husband, Greg Andres, a partner at Davis Polk & Wardwell, was representing Goldman in an advisory capacity. Stengle said at the time she would not seek Abrams’ recusal, the judge said, and went ahead the next day with scheduled oral arguments on the defendants’ bid to dismiss the case. But on April 11, Stengle made a written request for a “more complete disclosure” of Andres’ relationship with Goldman, and Abrams’ own working relationship with another defense lawyer. One has to either laugh, or weep, because that statement alone merely confirmed what we said a year ago when we said that “the judicial branch is also under the control of the two abovementioned entities”, namely the NY Fed and Goldman. At least until this morning, when ProPublica’s Jake Bernstein revealed something quite stunning: “Segarra had made 46 hours of secret audio recordings to bolster her case about what was happening at Goldman and with her bosses. First, a bit of background — which you might get equally well from today’s broadcast. After the 2008 financial crisis, the New York Fed, now the chief U.S. bank regulator, commissioned a study of itself. This study, which the Fed also intended to keep to itself, set out to understand why the Fed hadn’t spotted the insane and destructive behavior inside the big banks, and stopped it before it got out of control. The “discussion draft” of the Fed’s internal study, led by a Columbia Business School professor and former banker named David Beim, was sent to the Fed on Aug. 18, 2009.